“Shut one door and another one opens” – I had just slammed a proverbial door shut and was waiting for another one to swing wide open. As I waited, I somehow ended up in Egypt for a few months. Not just anywhere in Egypt, but in Dahab, a laid-back Red Sea-side resort town, full of expats working, seeking the sun or a cheap retirement option, or just an escape from home. For me the attraction was cheap living with sun, sea, sand, another culture, Arabic lessons, yoga, and time-out to market my business Venus Adventures Travel. 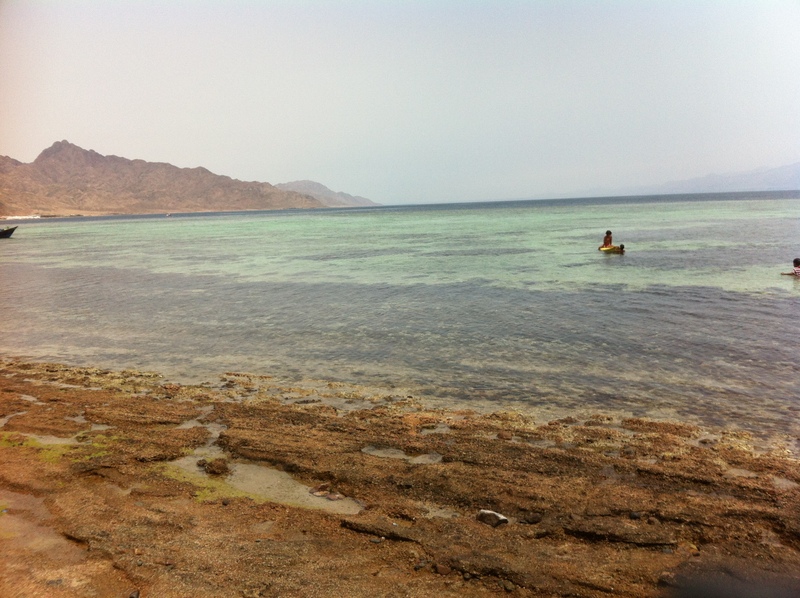 But Dahab became for me a mix of good and evil, weird and beautiful, inspiration and frustration. Enough to drive anyone a little crazy! 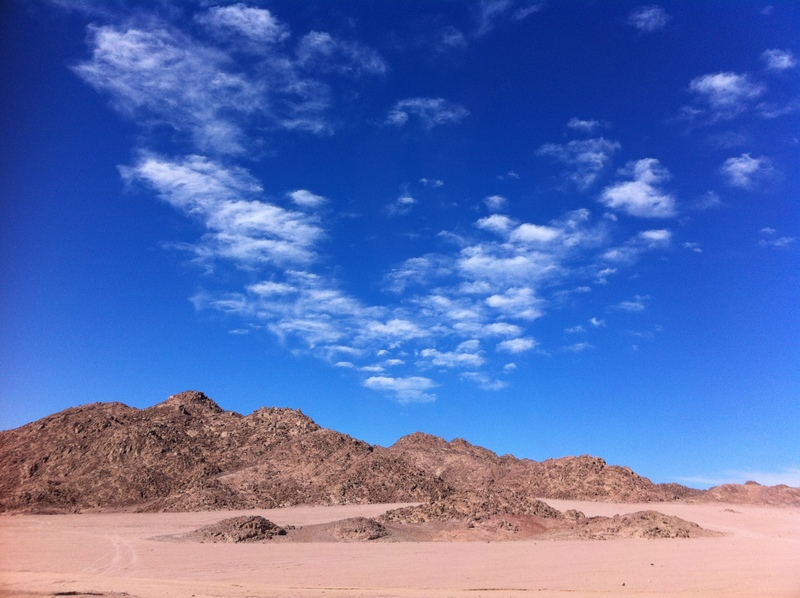 A little bit of background: The Sinai peninsula is the ancestral home of the nomadic Bedouin Arab tribes. It is a harshly beautiful desert environment consisting of row upon row of colourful, mysterious rocky mountains outlined by the turquoise waters of the Red Sea. 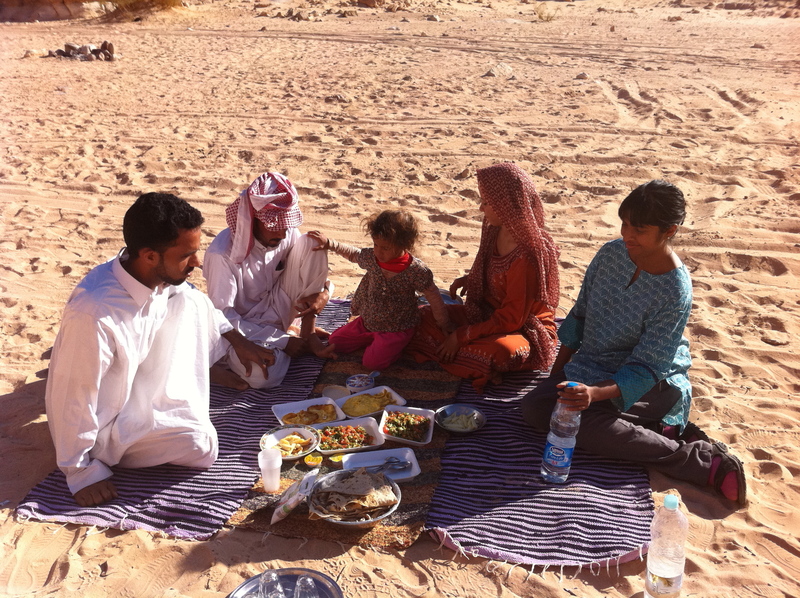 Not many of the Bedouins are nomadic anymore, it is just not viable, so they mostly live in the towns. They have their own laws, their own Arabic language, their own culture, completely separate and different to the dominant Egyptian culture that invaded their land and developed it for tourism. Long story. More later. The Egyptians who have come here to work in the hotels, restaurants, shops etc have all left behind their homes and families to seek a living. They work long hours for a ridiculous pay, and go home every few months of a break. A lot of them come down here to hook up with foreign women as a financial means to an end or visa to escape, but that’s another story for later too. The foreigners who live here consist mainly of Europeans. They work in the dive industry, some own restaurants or hotels, some are on government benefits back home, so come here to hang out in the sun. A lot of them seem to be a bit kooky, but because there are so many odd people here, they feel normal. That is one of my dislikes about Dahab – I come to a place for a “local” cultural experience and Dahab is overrun with Europeans. And they all think they own the place, but the true owners are the Bedouins and maybe the Egyptians. This clash of cultures is what makes things get interesting round here. Life in Dahab is just better than a soap opera. Stay tuned.